Our motivation for what we do as a church is grounded upon and lived within the Gospel of Jesus Christ. The Gospel motivates and frees us to live out who we have become in Christ and is dependent upon the truth of who God is, what he has done and who he makes us to be. All throughout Scripture, there are four key identities that are grounded in God and His Work: Family, Missionaries, Servants and Disciples. As House Church communities and as the larger Body of Christ, it’s these identities that inform who we are based upon the Gospel that bring freedom and motivate us to go out and engage with the world around us. Therefore, a house church is not simply a small group Bible study, social gathering or a meal-sharing weekly meeting. Those things certainly have their place. 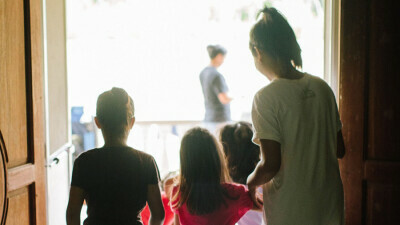 But more than that, a house church is a community of people who purpose to live out together the Gospel-centered identity as a family of missionary servants. Interested in joining and existing House Church? Feeling led to start a House Church?